Like any self respecting English lady I have had a life long love affair with a good cup of tea, now thanks to my grandparents I have never actually used a teabag alway sticking to loose leaf tea. However I have never strayed away from the average normal PG tips kind of tea, and that’s because I had no idea where to start! What kind of tea do I want? Where do I want it to come from? Do I want fruity or floral? And about twenty other questions! 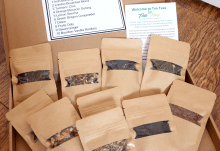 And the more you look into it, the more confused you get so when I heard you could get a tea subscription box I was over the moon. What better way to take that scary step then having someone else pick for you and better yet having a selection to try. The September box came with four different teas each with a detailed description of the tea and more importantly how best to make it, perfect for a newbie like me. 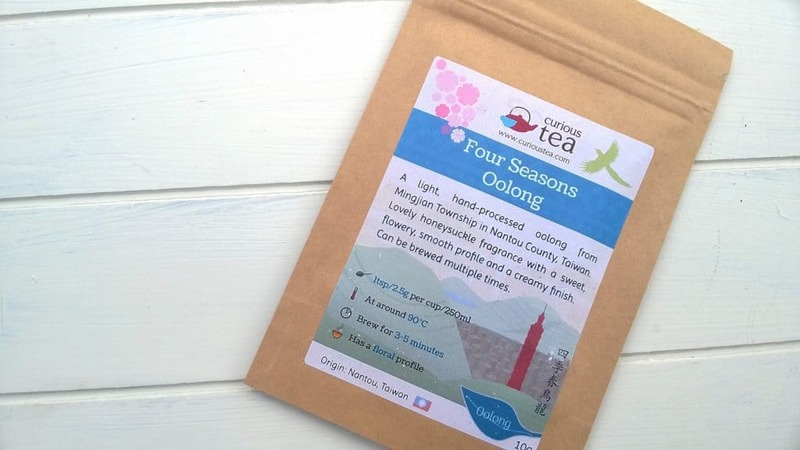 Four seasons oolong & Shan Lin Xi Long feng Xia Oolong teas – Both described as having a floral profile, now if I was to look at this in a shop I would immediately be put of by the word floral mainly because I imagine drinking flowers but I put them to the test! I can’t lie the four seasons smells like a field of flowers which kind of put me off but I gave it a go and despite liking it the least of the four teas I did in fact enjoy it. I drink it in the evenings when I’m trying to get all cosy, there is something very homely and confronting about it. 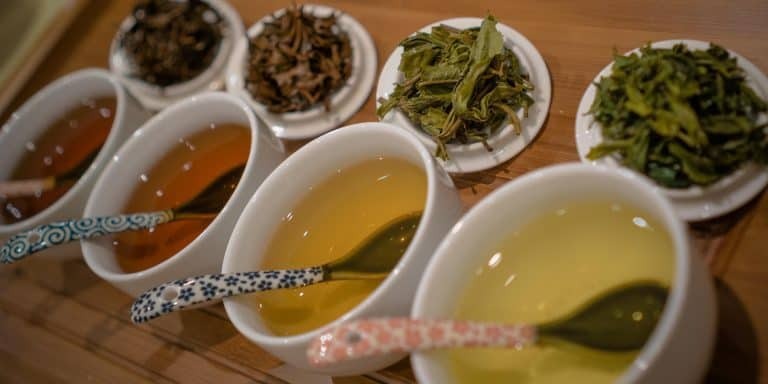 The Shan Lin Xi tea has a much more subtle fragrance to it but has just as much flavour and has become my post yoga tea as it has a citrus note to it which gives it a refreshing taste to it. 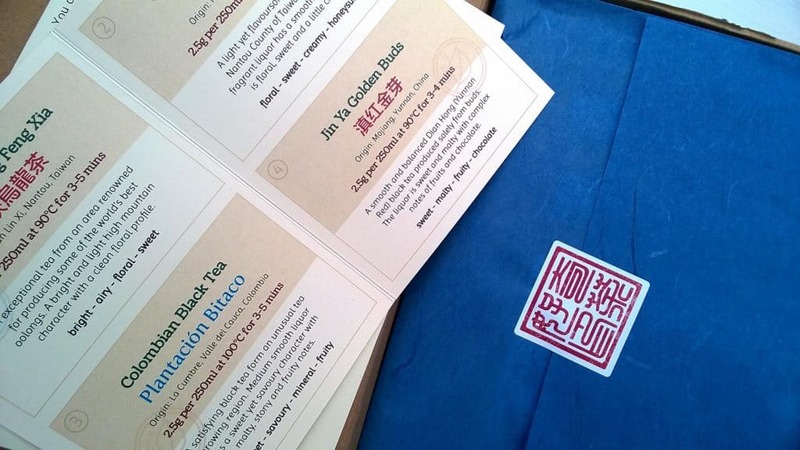 What I like about both teas is that they can both be brewed multiple times, which just adds to the value of the box. 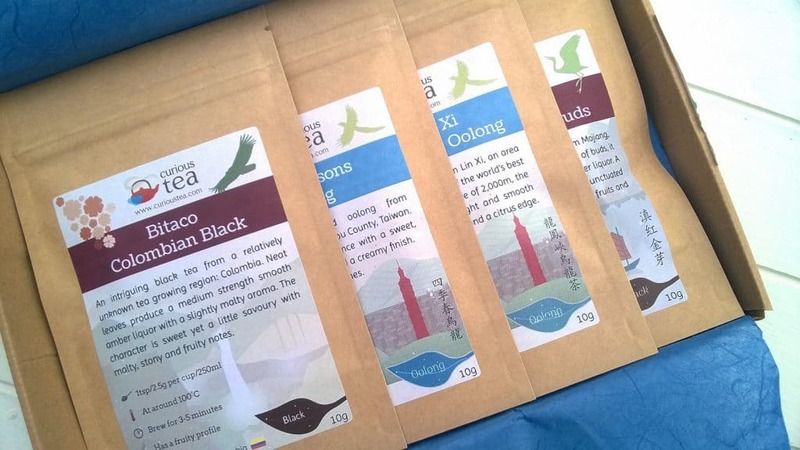 I was much more excited for the fruity profiles of Bitaco Colombian black and Dian Hong Jin Ya Golden Buds, the names best describe the look of the teas. 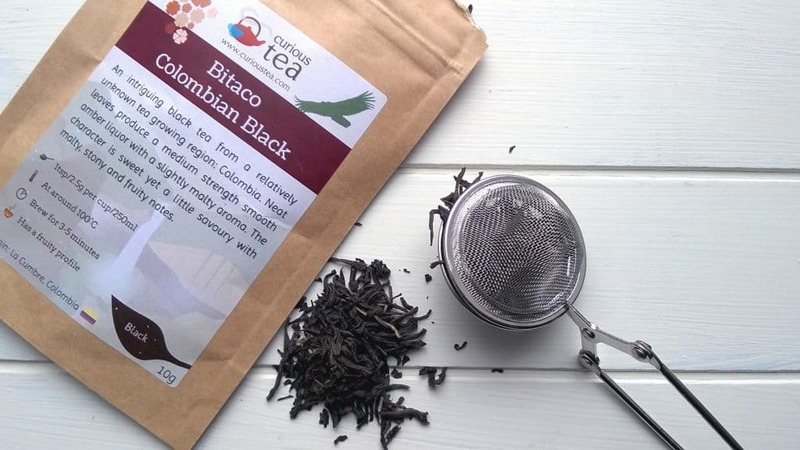 The Bitaco Colombian black was by far my favourite tea and has now replaced my morning coffee! It has a smooth taste to it and I love the fact that it is slightly sweet. The Dian Hong Jin Ya is a pretty golden colour and is slightly sweeter than the Colombian black so I drink it mid afternoon when I’m looking for a bit of a boost. 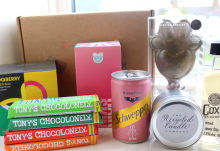 The packaging is very pretty and has a great eco friendly feel to it which to me adds to the experience a great deal. This tea is far to special to keep to yourself so invite your mum, best friend or even the neighbour around for a cup and I promise they will thank you. 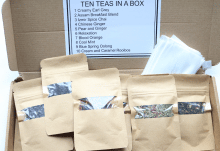 This is the perfect box for any tea lover who wants to try a variety of loose leaf teas but has no idea where to start! 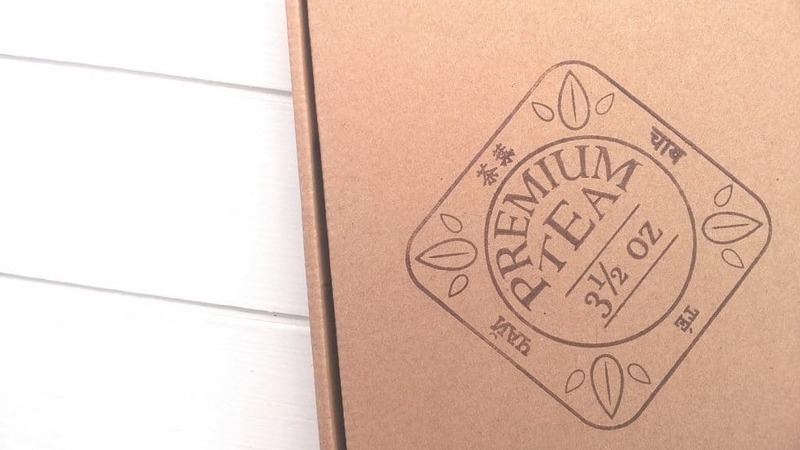 Great selection of teas in pretty packaging! 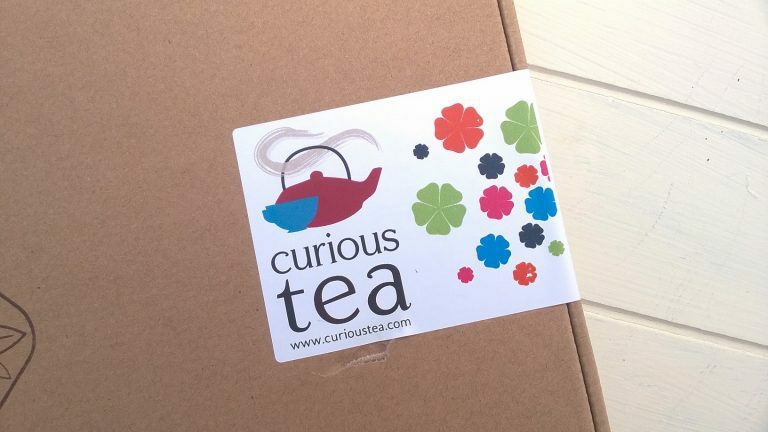 How would you rate Curious Tea ? Ridiculously happy lifestyle & fitness blogger with a slight cake obsession.